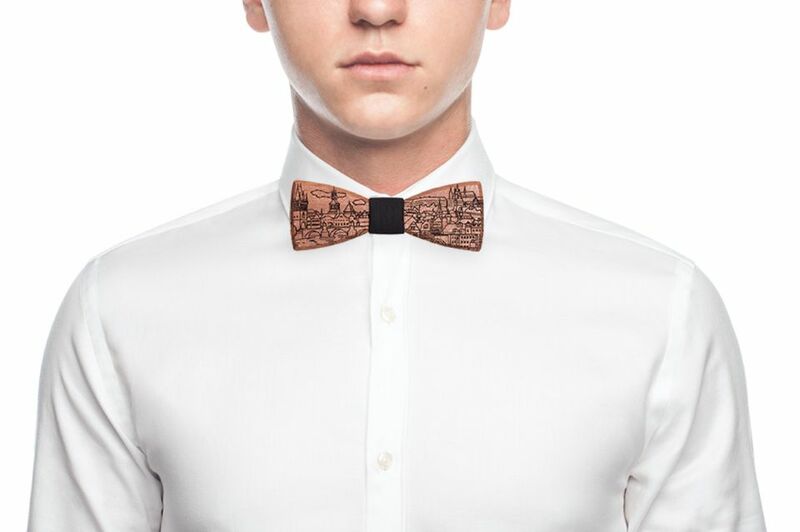 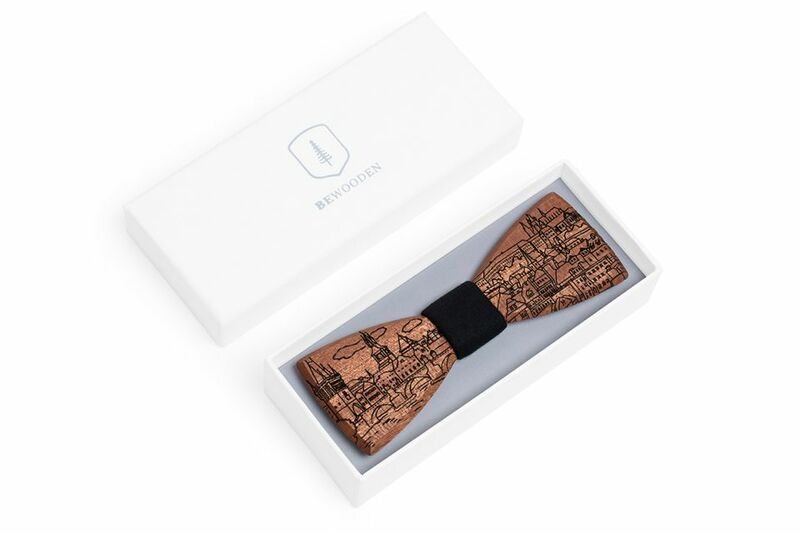 The inspiration for the design of this exceptional wooden bow tie was one of the most beautiful European cities and the city of a hundred towers - Prague. The bow tie captures the charming Old Town including the famous Charles Bridge across the Vltava River and the Prague Castle - the largest castle complex in the world. 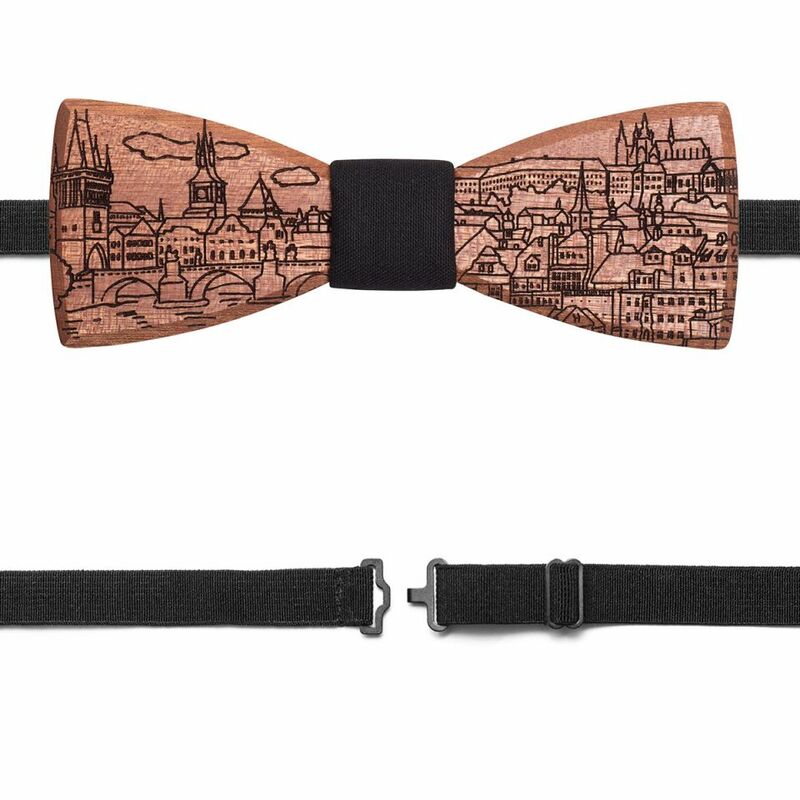 Sophisticated bow tie details, precise handmade work and high-quality mahogany wood captivate you as well as breathtaking views of Prague's skyline in real life. 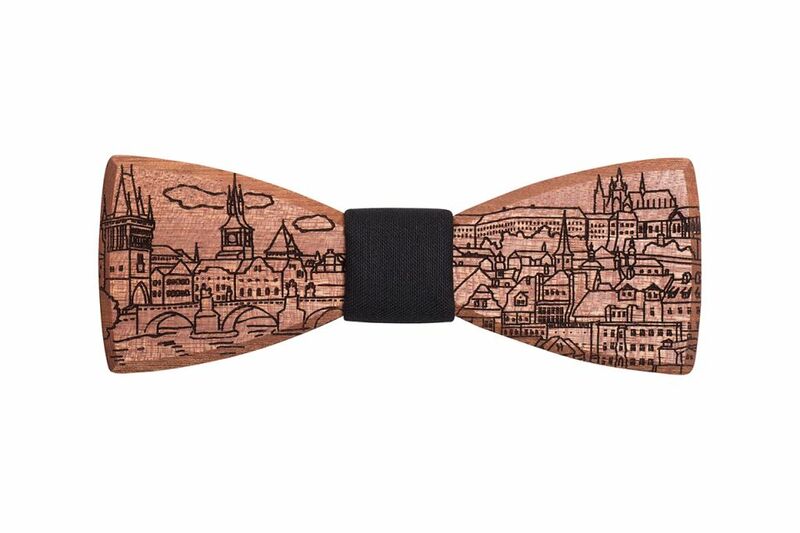 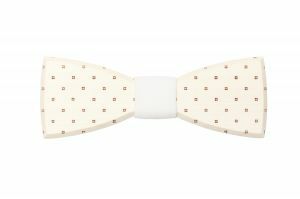 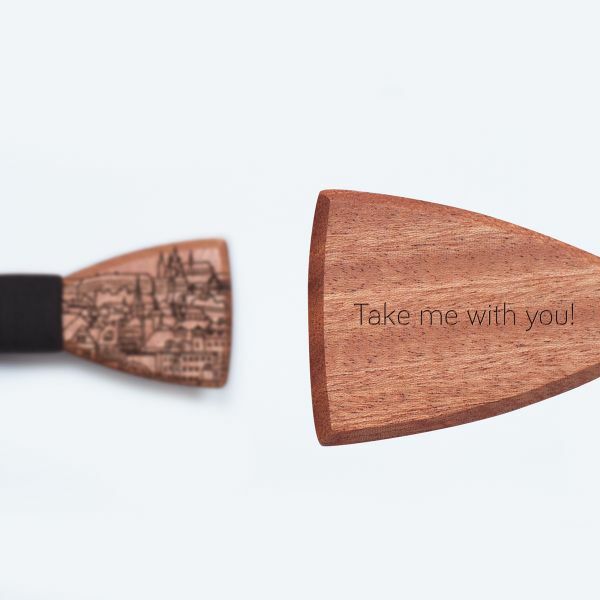 If you are a lover of the Czech capital or want this unique accessory for someone as a gift and an original reminder of Prague, this bow tie is the right choice for you.